On friday I had to head out to Arlington to pick Emalie up from her moms house, prior to that I stopped at a new place I found in Flowermound. I managed to hook 25+ sunfish of various pedigree and had a good time doing it. 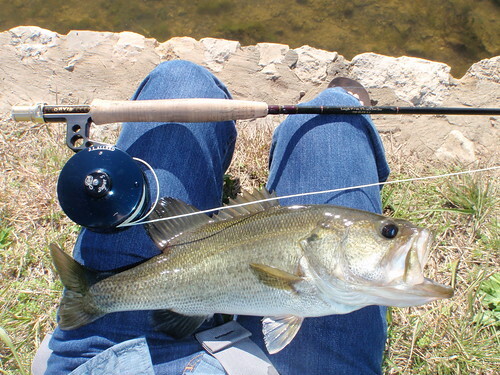 On sunday morning I took advantage of the great weather and hit up my normal spot in Mckinny. 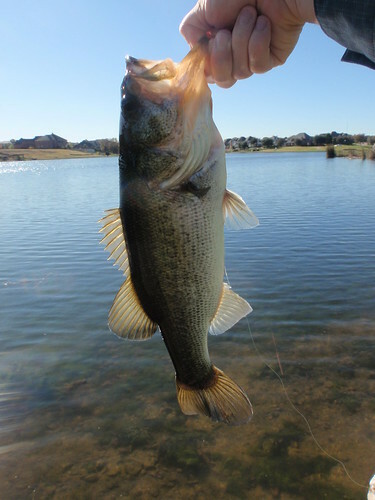 I was able to land two really nice bass, and saw about a dozen others. The water is very clear and the fish are predominantly feeding on glass minnows. 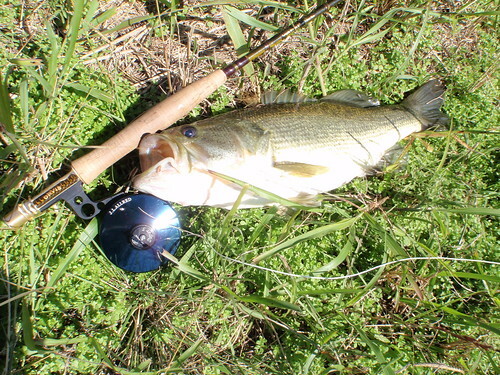 I had luck watching them crash the bait fish and then throwing my popper right into the frenzy. 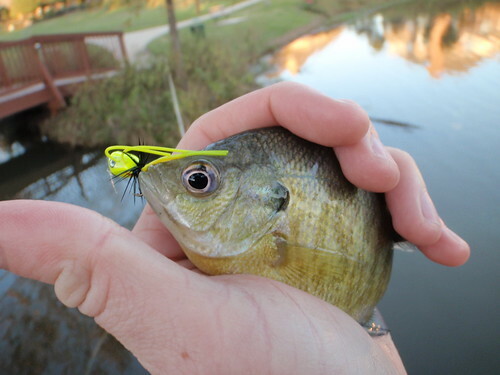 I took Emalie back to Flowermound on sunday evening and she caught a mess of panfish. Then we got Panda Express!